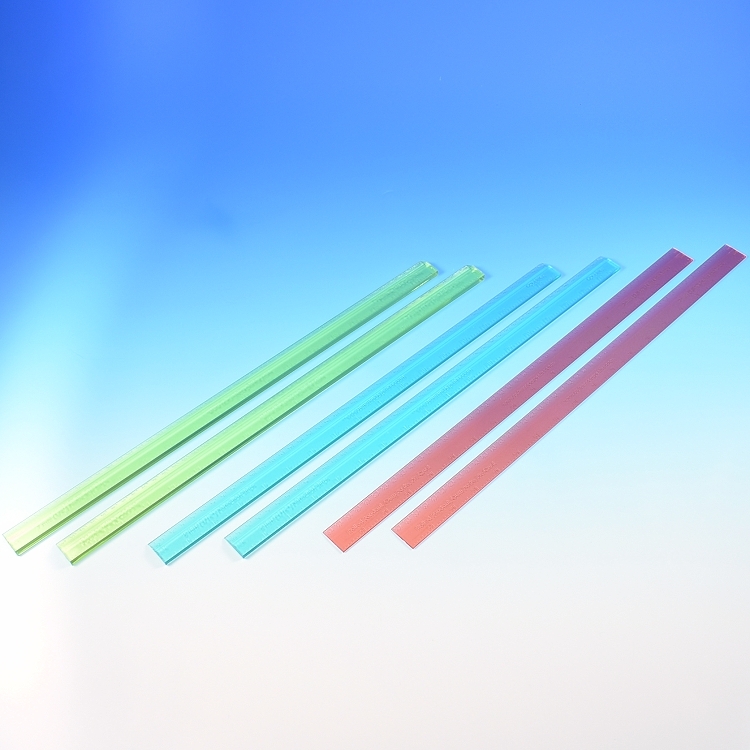 Pastry Rulers Thickness Strips guarantee an exact uniform thickness to pie dough, tart dough, rolled fondant, modeling chocolate and gum paste. Measurements markings in both 1/16" and 1mm increments. 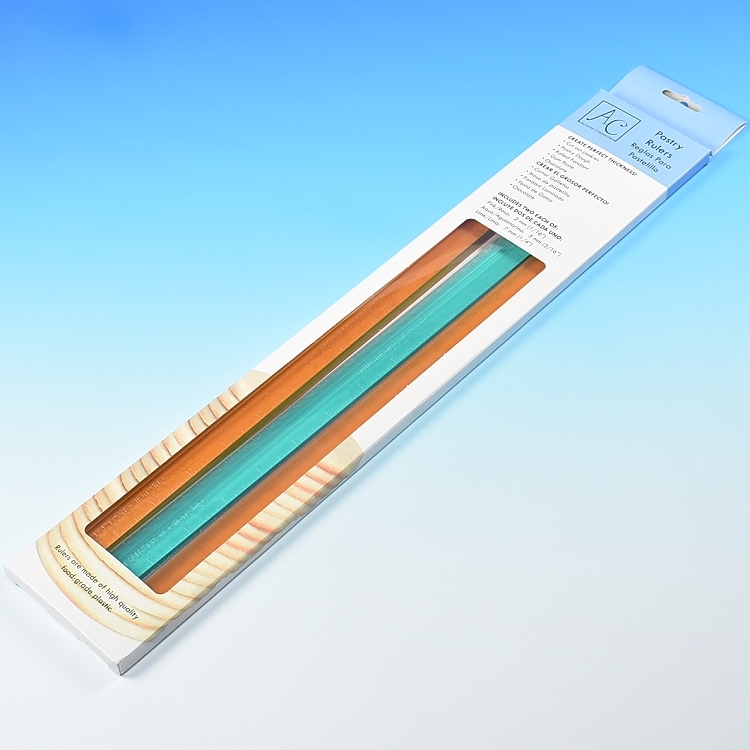 Strip length 18", width 1"
To achieve a uniform and even thickness to dough's and rolled fondant, select the thickness strips required. 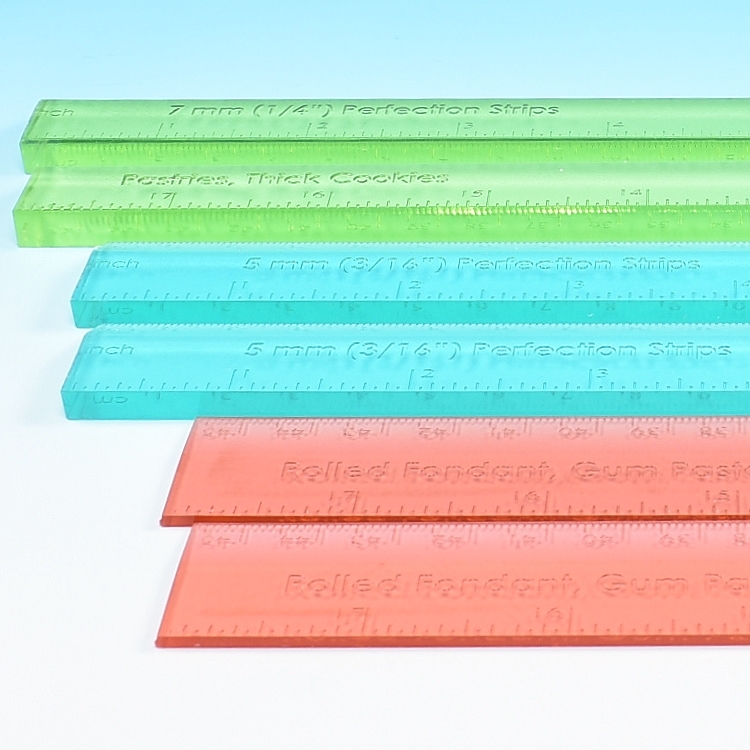 Simply lay a matching-pair of the Pastry Rulers Thickness Strips on a counter top or silicone work mat. 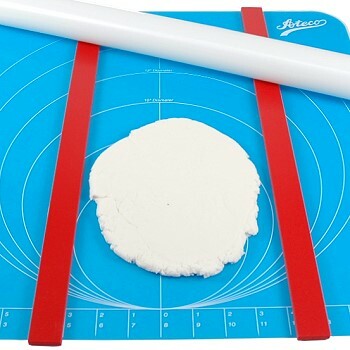 Using a rolling pin, roll-out the dough until the rolling pin glides across the surface of both strips, the desired thickness has now been achieved. * silicone mat and rolling pin not included.